Interview with Teresa Martín Retortillo. In our constantly changing world, empowering individuals equally, men and women, is key for success. We asked Teresa Martin-Retortillo, Executive President of IE Exponential Learning, to answer some questions about what it means tor her to be an empowered woman as well as how she manages to lead and build a successful and meaningful journey for hundreds of professionals who choose IE as their lifelong learning partner to improve in their professional careers. Finally, we asked her about the Global AMP, a program designed and focused on leadership in a world of disruptive change. What does it mean for you to be an empowered woman and lead a group of successful professionals who help educate and advise leaders all around the world? I believe education plays a key role in empowering individuals – both men and women – in delivering the impact they want to have in their organizations and communities. Through education and training, we can provide managers with the knowledge, skills, inspiration, confidence, and determination to not only take the right decisions for their business but also to create the career they choose for themselves. We aspire to create master learners, leaders who realize careers maybe be 60 years long and they need to become life-long learners if they want to have a meaningful impact. This clarity of purpose and the undeniable benefit to others helps me and the team to continue working hard and taking risks to deliver on our ambition. Part of it comes from our own thrust to continue learning and analyzing the changing needs of successful managers. Which are for you the key elements that have helped you become a Woman in Leadership? Why do you believe, in your perspective, the Global AMP will help understand future leaders the underlying trends driving the future? Will the program will help them explore the threats and opportunities these brings? We are in an unprecedented time in history with the beginning of the fourth Industrial Revolution. Those professionals with the right knowledge and skills set will be able to interpret what is going on around them with more accuracy and therefore will be able to take better decisions for their business. The Global Advanced Management Program has been designed to provide leaders with a new understanding of the macro trends, the new business models, the new agile operations and as importantly, a profound shift in mindset to seize the opportunities around them. Often times, executive Education programs focus on the knowledge and skills, but forget that unless we support managers in also changing their ability to take risks, their leadership purpose, and their ability to gather courage and stand against the tide… little change will happen. We see the Global Advanced Management Program as a unique experience that develops both dimensions of a leader. 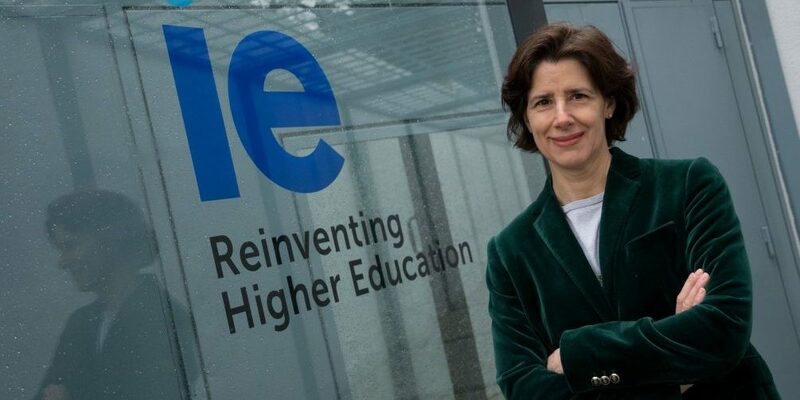 Teresa Martín-Retortillo is the Executive President of Executive Education at IE Business School since September 2016. She also leads innovation in open programs both on-line and face to face. Prior to that, she was senior vice president of Strategy and Business Development for McGraw-Hill Education in 2014 where she supported CEO David Levin, and the executive team in the digital transformation of the company through strategy definition and execution as well as with investments and partnerships. Before joining McGraw-Hill Education, Teresa was a partner with Bain & Company where she worked for circa 20 years, responsible for advising C-level executives and their boards with the objective of driving company transformations and increasing shareholder value. She worked for clients representing a range of industries including education, helping to develop business strategies and translate plans into tangible results. She has extensive experience supporting private equity clients through deal sourcing, due diligence, and portfolio company transformation on more than 100 deals. Teresa began her professional career at Goldman Sachs as a corporate finance analyst in London. She holds a bachelor’s degree in business administration from CUNEF (Colegio Universitario de Estudios Financieros) in Madrid, and a MBA degree from Harvard Business School. The Future is Female: IE partners with NASEBA at the Global Women in Leadership Economic Forum in DubaiBeatriz Nicolas: Follow your dream!